In loving memory of Aleita Poggemiller who passed away on Saturday, November 10, 2018 at the age of 85. Aleita will be lovingly remembered by her husband Vern, and many extended family & friends. There will be a Funeral Service held for Aleita on Monday, November 19, 2018 at 2:00 p.m. from the Luseland Alliance Church, Luseland SK. Pastor Jason Sheppard will be officiating, and interment will follow in the Luseland Cemetery. 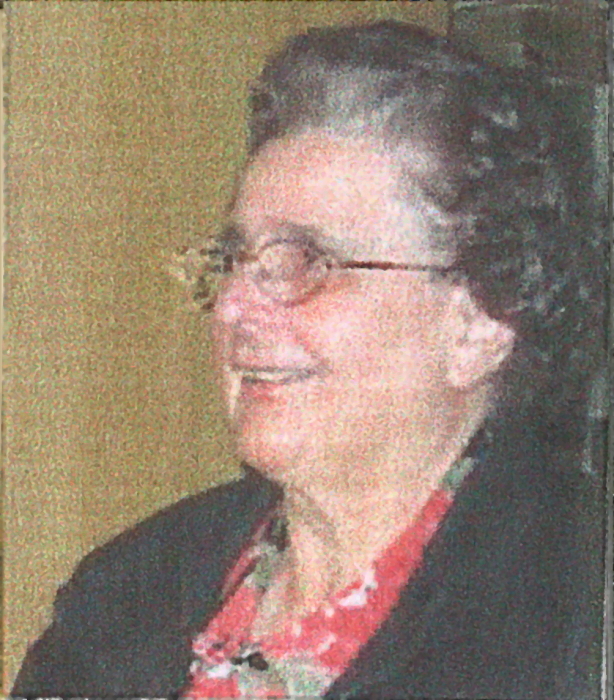 It is with great sadness that we announce the passing of Aleita Poggemiller at the age of 85 years, and nine months. Aleita passed away on November 10 after a courageous battle with a complicated disease. Aleita was born in Moose Jaw on February 1, 1933 to Melvin and Edna Tanner, the second daughter in a family of 4 children. Aleita grew up on the family farm at Grayburn, SK and attended the country school. Following her schooling she had one year of Bible School training at Moose Jaw Bible School (as it was then known). She then began working in the business world first for an accounting and income tax firm at Swift Current, after moving to Regina where she was employed by Prudential Insurance, until her marriage to Vernon Poggemiller in April of 1972. They enjoyed 46 wonderful years together with a lot of common interest, and just enjoying doing things together. They farmed together until 2009 when they sold their farm. They moved to Luseland in 2011. Aleita grew up on a farm, so farm life was not new. She loved gardening and flowers, spent many hours mowing grass, tending the yard, and in harvest was involved with hauling grain. In her teens she made the important decision to follow Christ, committing her life to Him and had served Him in various ways. Teaching Sunday School for many years mainly with smaller children, she was an Awana teacher and leader for about 16 years. She was also involved with youth ministries for a time. Her love for the Lord was evident in faithful Church attendance, Bible study and Prayer. She had a heart of love for people and especially for those who were shut in or ill. This was evidenced by little booklets she made and delivered to those in illness or distress. It is estimated that she made about 20-30 of these, consisting of about 6 to 8 pages of short stories, scripture verses, puzzles, poems, wished for better health, and jokes to encourage and brighten the day for those who were suffering. Aleita was predeceased by her parents, mother-in-law Frieda, sister-in-law Elizabeth, brothers-in-law Ed, Arnold, and Victor. She is survived by her loving husband Vern, sister Bernice, brothers Lloyd (Lorraine), Dwayne (Alene), and brother-in-law Helmuth (Esther). She is also survived by nieces, nephews, and extended family.